The Bakala Foundation will once again support gifted students from the Czech Republic who wish to complete their bachelor’s or master’s degree at prestigious universities abroad. 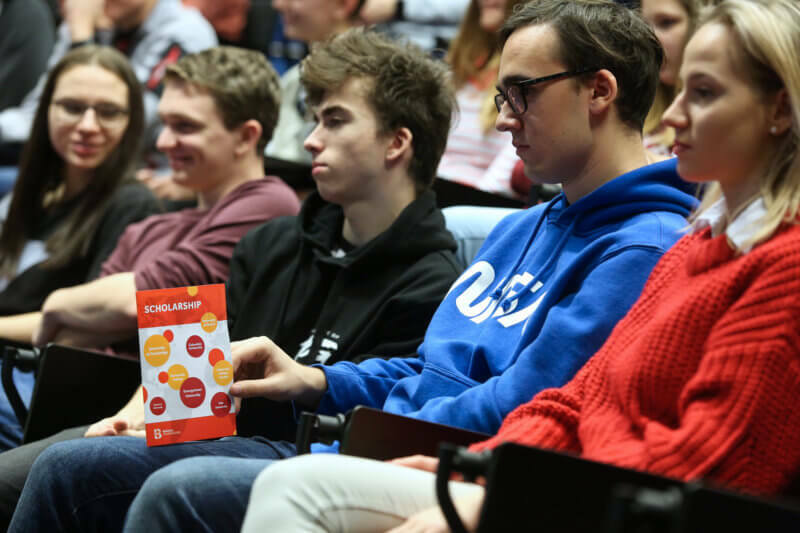 This is the tenth year that this opportunity is being offered to Czech secondary school and university students. The best of the applicants will receive a scholarship this September, the amount of which will be based on the educational institution they have selected and the student’s own financial possibilities. Together with the completed application form, each applicant must submit an essay, written in English, on one of three pre-defined topics. Those who choose the first option have the opportunity to elaborate on what is currently the greatest issue in their selected field of study and how they would resolve it. The second possibility is to discuss whether a leader must be ethical and moral in order to be successful and effective. The third choice asks the student how their chosen field of study might help address the problems associated with climate change. Over the past several years, and just within the context of the Scholarship Program, Zdeněk and Michaela Bakala have provided financial aid of more than 115 million Czech crowns to help 137 students. The majority of the students supported thus far (55%) have chosen a field of study from the natural sciences and engineering, and the others (45%) opted for the social sciences, humanities, or the arts. Most recently, the students have been more interested in European universities, such as Cambridge, Oxford, or the technologically focused ETH Zürich. You will find forty Bakala Scholars currently enrolled at seven British, five American, two French, one Swiss, and one Dutch universities. The future scholarship recipients are chosen through a two-round process. During the first round a panel of experts evaluates all of the applications and selects the students who have submitted the best ones. They are subsequently invited to a personal interview, which will be held in September 2019 in Prague, and the future Bakala Scholars are selected from their ranks. If the student meets all of the required conditions, the Foundation guarantees to support them during the entire length of their selected study program. Interested students must use the electronic form on the Bakala Foundation’s website to apply, and this is also where they will find this year’s topics for the required essay. The deadline for submitting applications is April 15, 2019.